If you are a die-hard spice fan, try adding a pinch of garam masala. 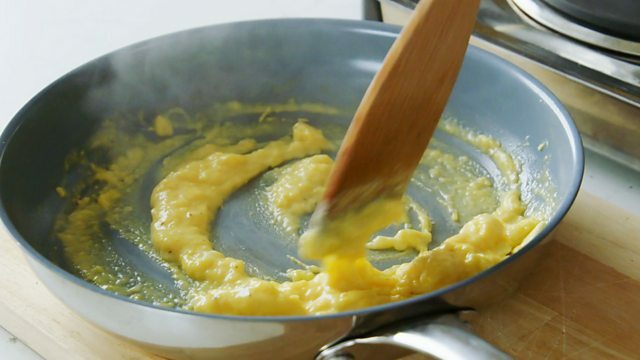 Heat the oil and butter in a small non-stick frying pan. 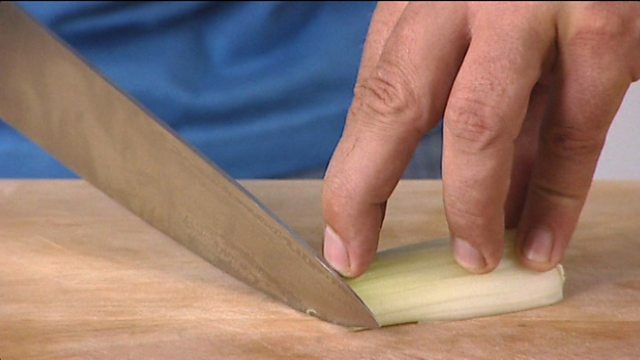 Add the onion and fry for about four minutes, until soft. Beat together the rest of the ingredients in a bowl and pour into the pan and scramble as normal. Take them off the heat when they are cooked to your taste. 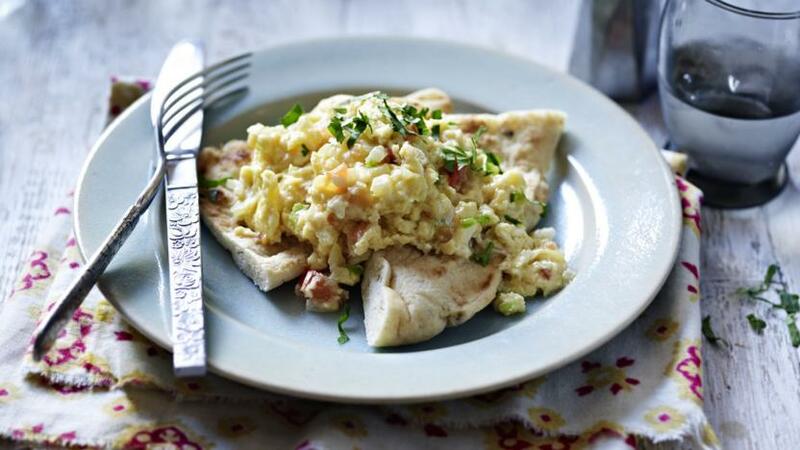 Serve with toast or naan bread.